Are your Headlights Ready for Daylight Savings Time? Daylight Saving Time, which began on Sunday, March 12, 2017, will end on Sunday, November 5. After November 5, clocks will “fall back” by one hour. This means that dusk will be one hour earlier, occurring during the peak hours of the evening commute. As winter approaches, darkness will fall at progressively earlier times, and commuters will have to turn on their headlights. Before Daylight Saving Time ends, it is important that drivers check the headlights of their vehicles for optimum visibility. This will be especially important for dark and inclement weather. Make sure that both headlights, as well as the windshield wipers, are in good working condition. Drivers must check the efficiency and the focus of their headlights, including parking lights and signal lights. The headlights’ high beam and low beam functions must work properly as they will be needed when visibility is very poor. Drivers must also check their brake lights, backup lights, instrumentation lighting, and interior lights. All lights are critical for passenger safety. You should include maintenance of car lighting systems in your overall vehicle maintenance program. When you take your car to the shop for inspection, remind the mechanic to check the lights. 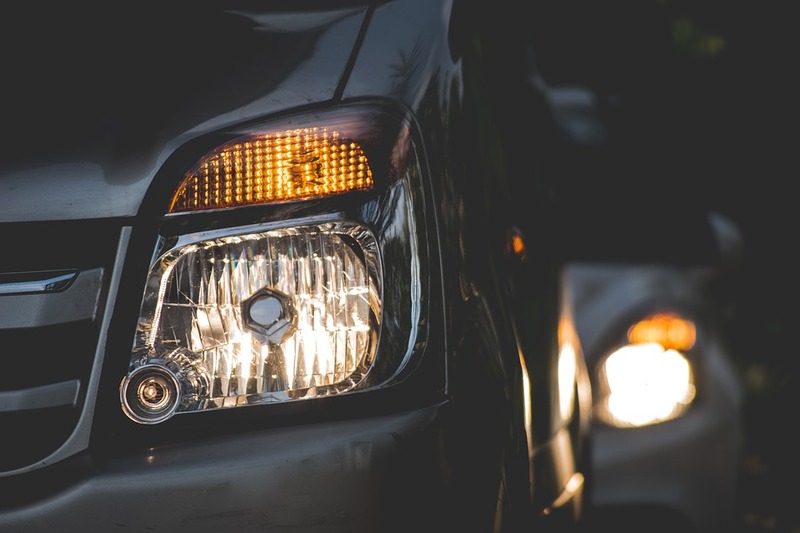 When your car’s lights are not functioning properly, you can endanger yourself, your passengers, the lives of the other drivers on the road, and pedestrians who might be crossing the streets. When the night darkens and it is snowing or raining, pedestrians may not be able to see an approaching car with dim lights. Before you drive your car on a rainy or snowy day, make it a habit to inspect your lights for any mud or dirt that might have accumulated. A mud-covered vehicle light could obscure the car’s presence and cause an accident. Bring your car to a Utah tire shop that also specializes in auto repair. While your car is being inspected, make sure to have the pros check out your tires for Utah weather ahead and make sure they are ready for the coming season. Tire Store Utah > Blog > Are your Headlights Ready for Daylight Savings Time?